April Steffen is a paralegal for Bagula, Riviere, Coates and Associates, LP and is considered a major asset to our team. Ms. Steffen has over 20 years of experience in the legal field, while working for various law firms and assisting closely with attorneys in the Southern California region. 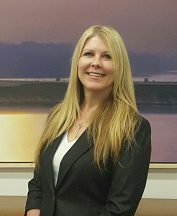 Her legal background consists of criminal law, real estate law, business law, bankruptcy law, and she is familiar with the procedures of state and federal court..
Ms. Steffen of provides legal support in multiple practice areas, such as Commercial and Corporate Litigation, Business/Real Estate Litigation, Homeowners Association Disputes, Employment Litigation, Case Management and Construction Defect. Her responsibilities include document production, drafting pleadings, corporate transactions, including entity formation and dissolution and partnership agreements. Ms. Steffen not only contributes her knowledge and expertise to our litigation and transactional departments, she oversees and manages every aspect of trial prep for our cases. Ms. Steffen received a degree in paralegal studies and pre-law. In addition to her legal background, in her spare time she became a licensed insurance agent.